Cruise holidays are on the rise and the cruise industry seems well-positioned for continued growth, as cruise lines respond to the demand of adventurous holidaymakers, who increasingly want itineraries featuring new and exciting places to discover. Cruise lines have been expanding their offerings to this meet rising demand and to attract more customers with the introduction of new ships, new experiences and new exotic destinations around the world. An estimated 1.73 million passengers will take a cruise holiday next year, an increase of two per cent on this year’s 1.71 million passengers, according to recent research released at The Travel Convention in Palma. Meanwhile this year has been another strong year for the UK cruise industry with growth of more than five per cent. William Gibbons of the Passenger Shipping Association (PSA) said that as predicted, 2011 has proved a good year for the industry with the value and quality of a cruise holiday continuing to appeal, together with companies introducing new ports of call and itineraries to a wide range of exciting destinations. “Looking forward, we anticipate modest growth in 2012 as capacity slows following the reduction in the number of new ships being built” said Mr Gibbons. “However, we remain confident that growth will continue over the coming years as companies introduce new ships including the 3,611 passenger vessel for P&O Cruises, the largest in their fleet, due for introduction in early 2015. He continued: “Cruising is expected to continue to outperform other areas of the holiday market with travel agents, who account for around 80 per cent of sales, continuing to play an important role. Cruise liners are adding new itineraries to their rosters, providing more options than ever to customers who are becoming accustomed to greater choice. Silversea Cruises – which was nominated for nine World Travel Awards this year, including World’s Leading Cruise Brands– has added 19 new mid-voyage land adventures to its portfolio. The company will offer more than 50 specially tailored overland excursions next year. 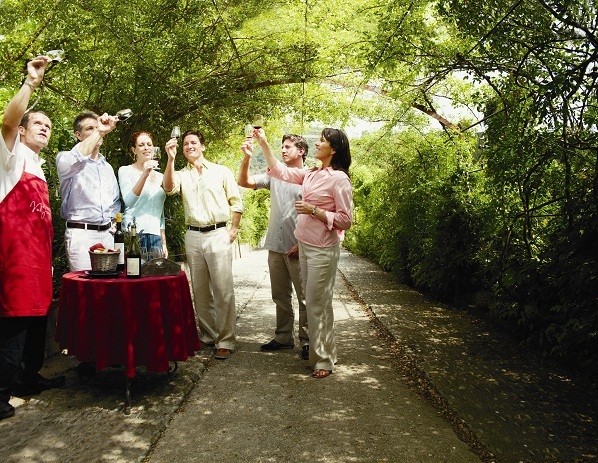 Unlike a partial-day shore tour, these single- or multiple-day inland adventures offer inquisitive travellers more time to enjoy an interactive and immersive experience with the people, history, wildlife and natural attractions that lie just beyond the ports of call. In 2012, Princess Cruises – nominated for eight World Travel Awards this year, including World’s Leading Cruise Website - will offer more itineraries and capacity than ever before. The season features seven ships sailing on 57 itineraries to 116 destinations, with more than 125 departures between April and December. Highlights of the programme include the European debut of Caribbean Princess, which brings additional capacity to the region, and a new 14-day Baltic Heritage itinerary offering more time to explore the fascinating ports of Scandinavia and Russia. 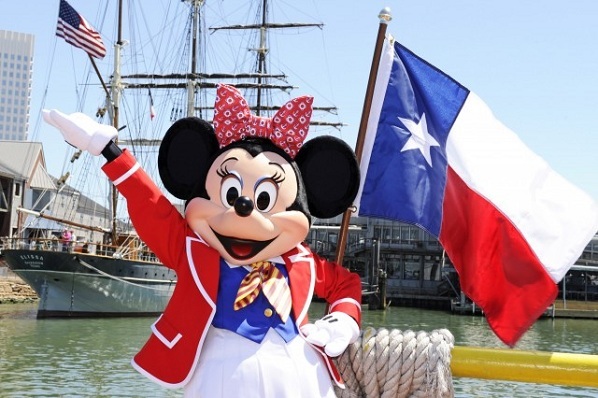 Meanwhile Disney Cruise Line – which was nominated for four World Travel Awards including World’s Leading Cruise Line - will set sail from three new ports in 2012 – New York, Seattle and Galveston, Texas. 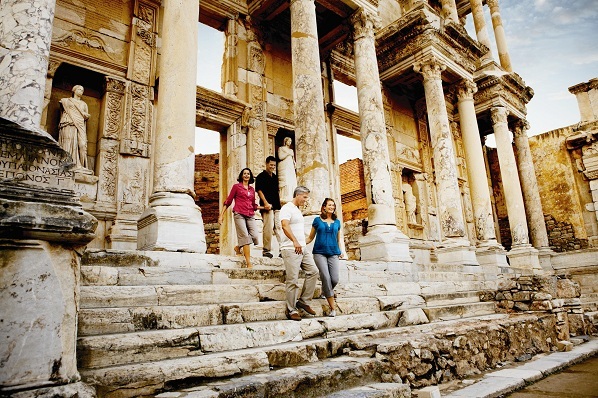 Additionally, the cruise line will offer more choices than ever before with several new itineraries planned. Today’s modern cruise ships are floating resorts with a vast range of entertainment throughout the day and evening. 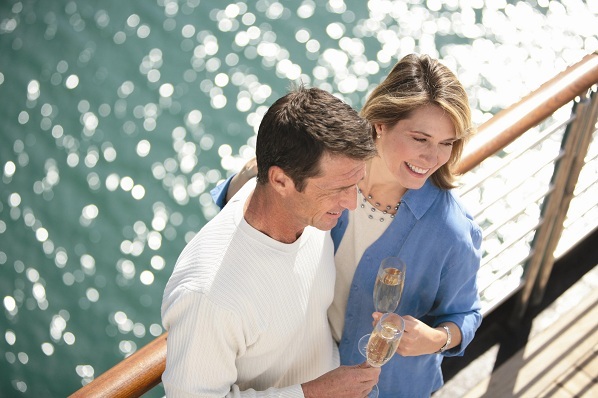 Warm weather cruises, often provide music by the pool side in the day along with poolside games, lessons ranging from napkin folding or scarf tying, to wine tastings, and guest lecturers or bingo. During the evening, large vessels can offer up to a dozen venues with live entertainment. 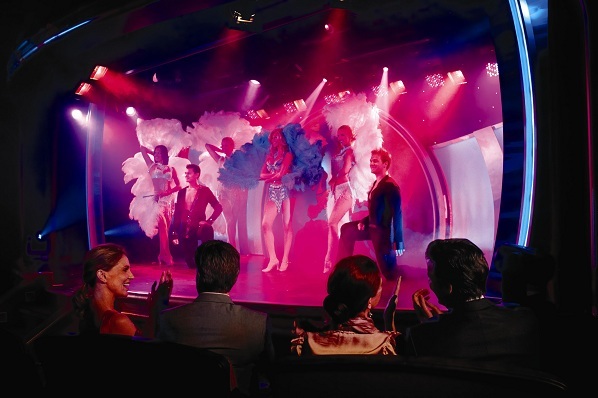 Earlier this year, P&O Cruises– nominated for six World Travel Awards including World’s Leading Large Cruise Ship Line, invited Pop Idol star Gareth Gates to perform three shows on board P&O Cruises Oceana. Gareth played hit singles such as Spirit in the Sky and his version of Unchained Melody in the 500-seat Footlights theatre. 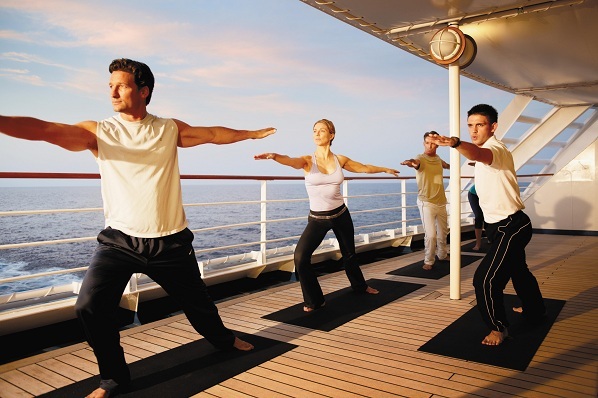 Cruise lines offer a preferred passenger programme, also known as “loyalty rewards,” for frequent passengers. Most cruise lines have extensive web sites where loyalty members can log in to manage their current profiles. 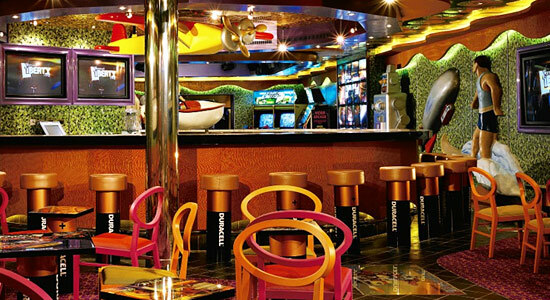 Cruise line benefits range from onboard receptions with free drinks, to free subscription to the cruise line magazines. 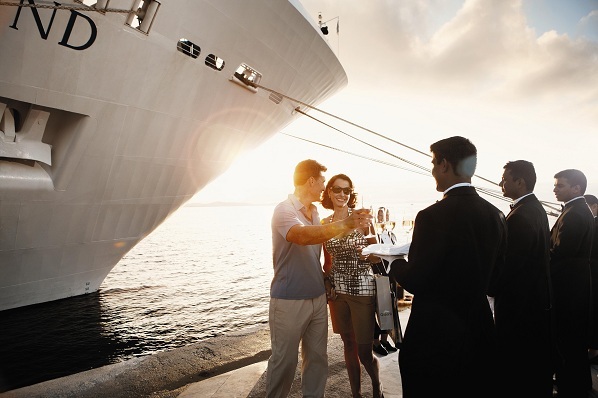 Loyalty programs vary a great deal between cruise lines, especially at the more advanced levels. Carnival has only two tiers and requires 10 cruises to get to the top while direct competitor NCL gets you to level two after five cruises and to the top tier after 15 cruises. The benefits at NCL include everything Carnival promises and much more. Royal Caribbean is similar to NCL, but with more levels and more cruises required to get to the top. As cruise passengers increasingly wish to stop off at new destinations, new ports are opening up around the world. Earlier this year, Jamaica welcomed the arrival of Royal Caribbean’s Oasis of the Seas, marking the grand opening of the much-anticipated Historic Falmouth Cruise Port. The 32-acre, two-berth pier, a US$213 million project, was built to accommodate Royal Caribbean’s Genesis class ships, the newest and largest class of cruise ships. The Port of Falmouth was nominated as the Caribbean’s Leading Development project by the World Travel Awards. The New Orleans cruise terminals at the Julia Street Wharf have been upgraded and a new and larger cruise terminal is open at the adjacent Erato Street wharf. The terminal is designed to accommodate the largest cruise ships and includes a four-story parking garage to handle over a 1,000 vehicles. Cruise lines are updating and enhancing their facilities in order to stay ahead of the game. Carnival Cruise Lines - which was nominated for eight World Travel Awards this year, including World’s Leading Luxury Cruise Line - recently unveiled Fun Ship 2.0 to enhance the guests onboard experience. The multi-year effort will offer guests new dining choices, more exciting bars and lounges, and captivating entertainment options through innovative partnerships and new branded spaces. In the first phase alone, which extends through the end of 2015, Carnival will invest more than $500 million across its fleet. While the primary market for luxury and river cruises is and will continue to be the experienced traveller, the lines report increased numbers of younger guests, in one case a drop in the median passenger age from 60 to 45 in the last ten years. Among the reasons, according to CLIA members, are the increasing popularity of multigenerational and family cruises and marketing aimed at more active, “participative” travellers by both luxury and river cruise lines. In response to this demand, cruise lines increasingly offer facilities that kids can enjoy, while new operators are popping up who specialise in family cruises such as cruises for families. Previously associated only with senior travellers and ultimate luxury - modern cruising has become fashionable not only among younger travellers, but also for families, so it is hardly surprising that cruising is now outperforming other holiday markets. As cruise lines continue to enhance their onboard facilities, visiting new ports whilst spicing up their itineraries, this trend looks set to continue.